I am a speech-language therapist, senior lecturer in Rehabilitation, and researcher within the Centre for Person Centred Research. My research brings together my expertise in rehabilitation and speech-language therapy, exploring engagement, therapeutic relationships and health communication, with a particular focus on services for people experiencing communication disability. My research considers how and why rehabilitation practitioners work in the ways they do, exploring actions, values, beliefs, and healthcare systems and how these impact on service provision and patient-practitioner interaction. I have a particular interest in supporting healthcare students and practitioners to critique taken-for-granted constructs, with the aim of opening up different ways of thinking and working to improve patient experiences in rehabilitation.My professional background is in speech-language therapy. I have worked in neurological rehabilitation for nearly fifteen years. Over the last eight years, I have worked in a range of research and teaching roles at AUT, in the Centre for Person Centred Research, and the Physiotherapy Department. I contribute to undergraduate and postgraduate teaching in the School of Clinical Sciences, teaching on topics such as engagement, person-centred practice, health communication, qualitative research and speech-language therapy. My research focuses on engagement, the therapeutic relationship and healthcare communication. I explore how and why rehabilitation practitioners work in the ways they do, exploring actions, values and beliefs and how these impact on service provision and patient-practitioner interaction. My research brings together my expertise in rehabilitation, speech-language therapy, and clinical education. Current studies address how students and rehabilitation providers interact with people and engage them in rehabilitation, and how practitioners engage people experiencing communication disability in stroke rehabilitation. 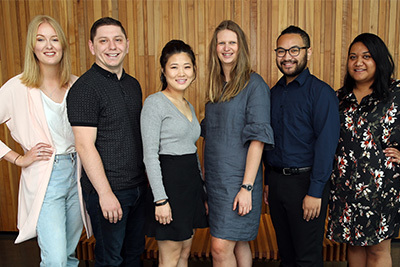 Future research will explore how engagement, therapeutic relationship and healthcare communication are and can be incorporated in student education and in clinical practice. I am particularly interested in working alongside practitioners to support them to critique and develop their practice. How people with aphasia experience relationships and communication in rehabilitation: A metasynthesis. Rutherford, S., & Bright, F. (2014). Supporting practitioners to engage with research. In V. Wright-St. Clair, D. Reid, S. Shaw & J. Ramsbotham (Eds. ), Evidence-based health practice (pp. 269-282). Victoria, Australia: Oxford University Press. Kayes, N., Galvin, K., & Bright, F. (2017, 28 October). Relational practice: A valid and legitimate form of rehabilitation work. Oral symposium at American Congress of Rehabilitation Medicine. Atlanta, Georgia. Bright, F., Brand, K., & Kayes, N. (2017, 8-10 September). Clinical documentation as a construction site. Poster presentation at New Zealand Rehabilitation Association conference. Christchurch, New Zealand. Bright, F. (2016, 12 November). Engagement in stroke rehabilitation: A relational practice. Oral presentation at Relational Practices in Healthcare conference. Cleveland, United States. Bright, F. (2016, 11 November). Researching relational practice using the Voice Centered Relational Method. Oral presentation at Relational Practices in Healthcare conference. Cleveland, United States. Bright, F., Kayes, N., McPherson, K. & Worrall, L. (2016, 19 October). Engagement in stroke rehabilitation: A relational practice. Oral presentation at the Aphasiology Symposium of Australia. Adelaide, Australia. Bright, F., Kayes, N., Cummins, F., McPherson, K. & Worrall, L. (2016, 19 October). Embedding relational practice in aphasia rehabilitation. Discussion forum at the Aphasiology Symposium of Australia. Adelaide, Australia. Bright, F., Kayes, N., McPherson, K. & Worrall, L. (2016, 9 September). Enacting engagement as a relational practice. Workshop presented at the New Zealand Speech-Language Therapists’ Association Conference. Auckland, New Zealand. Bright, F., Kayes, N., McPherson, K. & Worrall, L. (2016, 7 September). Engagement in stroke rehabilitation: A relational practice. Paper presented at the New Zealand Speech-Language Therapists’ Association Conference. Auckland, New Zealand. Kayes, N., Larmer, P., Bright, F., Hall. G. & Barrott, D. (2016, 1 August). Enhancing capability and capacity in case management practice in New Zealand. Poster presented at the Australasian Compensation Health Research Forum. Melbourne, Australia. Bright, F., Kayes, N., Cummins, C., Worrall, L., & McPherson, K. (2014, 22 May). Voices of rehabilitation providers: Talking about engagement. Poster presented at the International Congress of Qualitative Inquiry, Champaign, IL. Bright, F., Kayes, N., Worrall, L., & McPherson, K. (2014, 22 May). Voice(s) in action: Using the Listening Guide in observational research. Poster presented at the International Congress of Qualitative Inquiry, Champaign, IL. Kayes, N., Bright, F., Cummins, C., Worrall., L. & McPherson, K. (2014, 9 May). Engagement in stroke rehabilitation: “Something that happens between us”. Paper presented at the Brain Impairment Conference, Perth, Australia. Cummins, C., Bright, F., Kayes, N. M., & McPherson, K. (2013, March). "I’m just lazy that’s the problem”: who is responsible for engagement in rehabilitation? Presented at the New Zealand Rehabilitation Association Conference. Nelson, New Zealand. Kayes, N. M.,Bright, F., van Lit, A., McCann, C., & McPherson, K. M. (2013). Hope in neurorehabilitation: Blind optimism or an untapped resource? Presented at the New Zealand Rehabilitation Conference 2013. Nelson, New Zealand. Bright, F., Kayes, N. M., Cummins, C., McPherson, K. M., & Worrall, L. (2013). “There needs to be some connectivity there": The role of therapeutic connections in facilitating engagement in rehabilitation. Presented at the New Zealand Rehabilitation Conference 2013. Nelson, New Zealand. Bright, F. & Sezier, A. (2012, 13-15 August). Facilitating a client-centred approach to practice: Interprofessional clinical teaching in physiotherapy. Poster presented at the Interprofessional Health Studies Poster Conference. Auckland, New Zealand. Bright, F. (2013, August). Incorporating speech-language therapy into allied health training. Poster presented at the Interprofessional Health Studies Poster Conference. Auckland, New Zealand. Bright, F., Kayes, N., McPherson, K., Boland, P. & Rutherford, S. (2012, May). Advancing speech pathology practice: Lessons from an autoethnography. Presented at the International Aphasia Research Conference. Melbourne, Australia. Bright, F., Kayes, N., McCann, C. & McPherson, K. (2012, May). Hope in people with aphasia: A longitudinal qualitative study. Presented at the International Aphasia Research Conference. Melbourne, Australia. Rutherford, S., Boland, P. & Bright, F. (2011, March). Prioritising the therapeutic relationship in rehabilitation by ‘being with’ and ‘enabling’. Presented at the New Zealand Rehabilitation Association Biennial Conference. Auckland, New Zealand. Bright, F., Kayes, N. M., McCann, C., & McPherson, K. M. (2011). Understanding hope in people with aphasia: Implications for clinical practice. Presented at the New Zealand Speech-language Therapists’ Association Professional Development Seminar. Dunedin, New Zealand. Bright, F., Kayes, N., McCann, C., & McPherson, K. (2010, April). Hope: Its role in the journey of recovery. Presented at the Practice Worth Spreading: New Zealand Speech-language Therapists' Association Conference. Wellington, New Zealand. Bright, F., & Howe, T. (2010). Goal setting for speech language therapists. Workshop presented at the Practice Worth Spreading: New Zealand Speech-language Therapists' Association Conference. Wellington, New Zealand. Rutherford, S., McPherson, K., Kayes, N., & Bright, F. (2010). Identity oriented goal setting after TBI. A new approach to client centred goal setting. Presented at the NZAOT conference: Shifting Sands, Creating our place. Nelson, New Zealand. Bright, F., McPherson, K., Kayes, N., & Rutherford, S. (2010). Identity oriented goal setting: A promising tool for speech-language therapy? Presented at the Participation 2010: The National Conference of Speech Pathology Australia. Melbourne, Victoria. Bright, F., Ronaldson, A., & Harvey, K. (2008). The process and effectiveness of discharge planning: A multidimensional service evaluation audit. Presented at the Allied Health Conference. Auckland, New Zealand. Bright, F. (17 Nov, 2017). Revisiting the importance of relationships in speech pathology practice. (Webinar). Aphasia Institute. Toronto, Canada. Bright, F. (3 Nov, 2017). Hope and people with aphasia (Keynote presentation). Focus on Aphasia symposium. Napier, New Zealand. Bright, F. (3 Nov, 2017). The importance of therapeutic relationships in aphasia therapy (Keynote presentation). Focus on Aphasia symposium. Napier, New Zealand. Bright, F. (2016, 28 October). Engaging people in stroke rehabilitation. Keynote address at Auckland Stroke Study Day. Auckland, New Zealand. Bright, F. (2016, 27 July). Supporting students struggling with communication during fieldwork. Invited presentation at Australia New Zealand Occupational Therapy Fieldwork Educators meeting. Auckland, New Zealand. Bright, F. (2014, 5 November). The role of the clinician in patient engagement. Keynote address at Stroke Foundation South Island Seminar. Dunedin, New Zealand. Bright, F., (2014, 2 July). Promoting the voice of people with communication difficulties in services. Workshop presented at National Disability Conference. Auckland, New Zealand. McPherson, K., Fadyl, J., Rutherford, S. Bright, F., Kayes, N. & Moloczij, N. (2009). Rehabilitation outcomes measure literature review. Report commissioned by the Accident Compensation Corporation.